Artburst Speak Out Make A Play from Artburst on Vimeo. Confidence and pride can be difficult to measure and are often achieved through small steps; especially by children who have speech, language and communication needs. 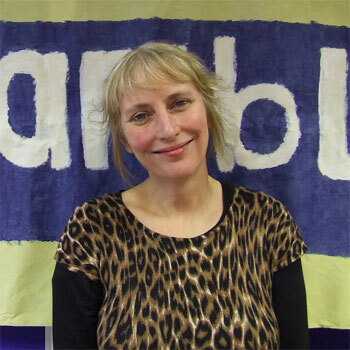 As Jane Bell explains, BIG-funded Artburst is testing unique and creative ways to boost children and young people’s abilities to make successful journeys through their key educational transition stages. For parents and their families, the results are clear to see. Our children’s needs range from hearing impairments, autism, physical and learning disabilities and emotional and behavioural difficulties affecting confidence and communication. Last Thursday, Artburst launched our new premises in Hoxton which included a ‘Gold Medal’ ceremony, presented by Alan Wood, Director of Children’s Services in Hackney, for just a few of the hundreds of children and families that our ‘Speak Out’ programme has reached. It seems natural to see a child receiving praise, but for one of our children to stand in front of a crowd of over 50 people to collect his medal was an amazing achievement. This was the case of one of our Speak Out children. On both of our holiday school workshops earlier in the year he got ‘nervous wobbles’ on his first day and having made it to the venue he couldn’t actually make it through the door. We rang the family and arranged a welcome volunteer especially for him, a friendly face to help overcome that feeling of fear. From then on he attended throughout both weeks and by the end of it completely surprised his family by performing and dancing in front of an audience. Another child arrived at our ‘Tasters’, spent a day with us, playing drama games, dancing, making art, with not a word spoken, no ‘bye bye’ for us at the end of the day. Her selective mutism affects her ability to make friends and communicate, but the day’s creative activities had offered her ways to join in fully without speaking. Returning to her ‘Make a Play’ holiday school she also found it really hard to enter the room- but did speak to us for the first time to ask ‘Where’s Kat B the dance tutor?’ Kat wasn’t working for us that week – but we’d produced a booklet for children to accompany their activities, which had encouraging and inspirational messages from local well-known people, including one from Kat B. When we showed her that she decided to stay. By the end of the programme she was smiling, speaking to adult staff and high–fiving us. Three different types of communication we were delighted to see. In November, we premiered the ‘Best Bits’ film on Screen 1, the biggest screen at Hackney Picture House. A crowded house celebrated all the fun and achievements of our participants with smiles, cheers and children and families speaking at the microphone. We’re now putting together our 2012 project report – and we’re seeing the evidence of just how far these children and families have travelled in their confidence and communication. They have gone the extra mile – and that in turn gives the Artburst team so much confidence for 2013. I’ve worked with Artburst on the ‘Speak Out’ programme and have been an art facilitator on the amazing ‘Make a Play’ weeks……these have been both fun and rewarding! From icebreaker games & creating characters, to painting giant murals and putting on a live performance the programme boosts confidence in those who participate and provides an great platform for families to gain support and see the fantastic strengths their children have. Can’t wait to see what happens in 2013 & beyond! Just got a job with Artburst for their Speak Out project as a Speech and Language Therapist and am SO excited! Can’t wait to work with them! Such a fantastic project and am honoured to be on board the good ship Artburst!! Thanks for all your comments on the blog. It sounds as though lots of families have already been helped by the project and many more will surely follow. Much to look forward to in 2013! Loved the film at the Hackney Picturehouse. Great to see children having fun and learning at the same time. Thanks for the comment, Matt. Isn’t it a great film – really captures the energy of the project! We’ve just returned to the Artburst Studio full of beans after a fantastic day with our first set of new families on the 2013 Make a Play programme. Parents who stayed for the Parents Workshop had a lovely lively question and answer session. It’s really great to hear their views and needs. Among parents comments on the feedback forms: ‘Keep it up, always welcome and much needed help for our child’; ”I liked the obvious impact these sessions have on the children, confidence happiness and socialibilty’; ‘I am really happy to be a part of this’. And children today excelled in their drama, art and dancing saying: ‘when i thought something wasn’t fun – it actually was fun’ ‘i would love to be coming here again’ ‘ i thought that artburst was really fun’. So a great start! Thanks to Kat B, Anne and Libby our facilitators and Miho and Anna our assistants. And to all at William Patten School too, thanks for hosting us! It was nice to read how you are helping children build confidence. Play is a therapy, along with getting one on one attention and praise. What Artburst is doing is going to last these little ones a lifetime and make life easier for them.